Your Official Tax Summary Statement is now available. In the left margin, click Donor Statements. Then click the tax form you want. 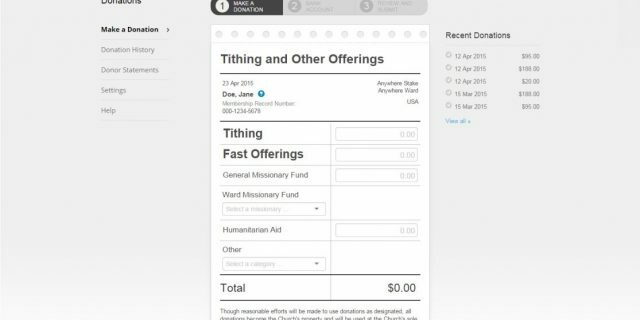 If you have donated through Online Donations (donations.lds.org) and logged in using an LDS Account associated with your Member Record Number (MRN), then your statement will include all your donations including the donations you made to your ward or branch directly. Go to LDSaccount.lds.org/membership and log into your account with the username you use to log into Online Donations. Enter your membership record number (MRN). If you have any questions, please contact your ward or branch clerk, or for additional help on adding your MRN to your LDS Account, go to LDSaccount.lds.org/contactSupport.